The Philadelphia School District announced Wednesday afternoon that it elected to postpone all its athletics — practices and games — for Thursday because of the continued heat wave. That decision forced the postponement of football games involving seven Public League squads. The following contests were affected: George Washington vs. Kensington; Olney vs. Boys' Latin; Martin Luther King vs. Phoenixville; Central vs. Upper Dublin; and Archbishop Ryan vs. Frankford. 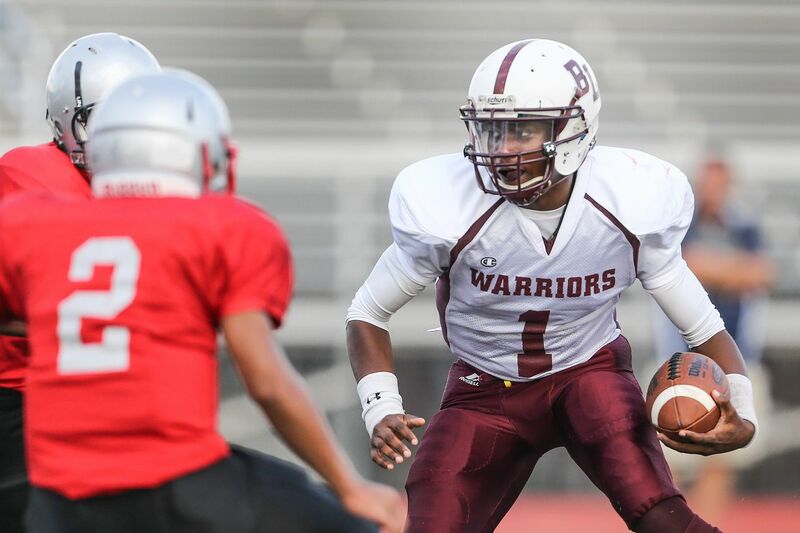 Boys' Latin, which is led by senior quarterback Malik Johnson, routed Prep Charter, 50-0, in its opener last Saturday night at the South Philly Super Site. Ryan vs. Frankford, which was originally scheduled for 7 p.m. Thursday at Northeast's Charlie Martin Memorial Stadium, is now scheduled for 1:30 p.m. Friday at Large and Dyre Streets in Frankford. Frankford may have to play without first-year head coach Bill Sytsma on the sideline. Sytsma has been hospitalized since Saturday with a blood infection. In his debut last Friday night, the Pioneers fell to Bensalem, 28-27, on Dawson Fontaine's 22-yard field goal with four seconds remaining. As of Wednesday, a trio of Thursday nonleague games were still scheduled to be played: Middletown South (N.J.) at Coatesville; Pottstown at West Chester East; and West Chester Rustin at West Chester Henderson. The Martin Luther King-Phoenixville game is now scheduled for 7 p.m. Friday at Phoenixville. Coatesville, which ranked No. 2 in Southeastern Pennsylvania behind St. Joseph's Prep, began its season last Saturday afternoon with a 37-6 romp over District 3's Harrisburg. It marks the first game for Central Jersey's Middletown South, which went 5-5 overall last year.